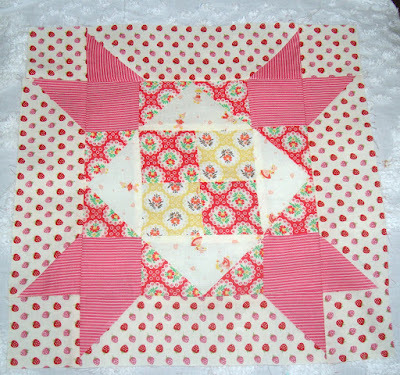 Block number 7 by Becky from Posse Boss. Block number 8 by Judi from the Green Fairy. 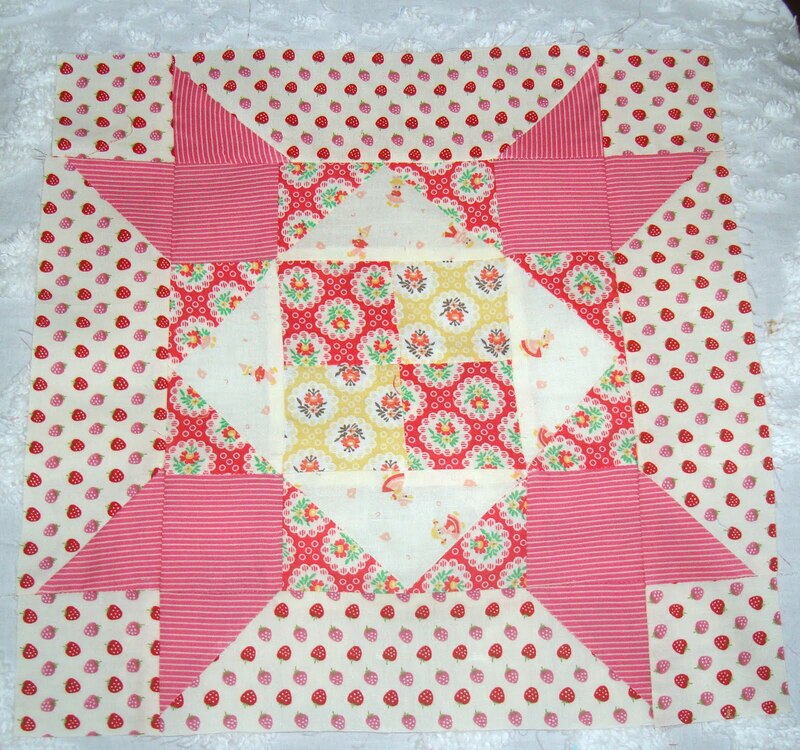 Block number 9 by Toby from Gateway Quilts. Block number 10 by Kari from Fresh Cut Quilts. I'm caught up and waiting for the newest blocks. I think there are just 2 more to go. You can print out all the instructions from Konda's blog. 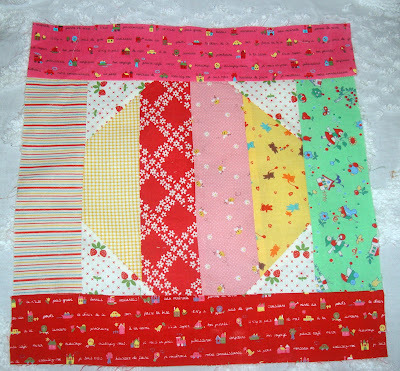 It is never too late to make this fun and easy quilt from a jelly roll. 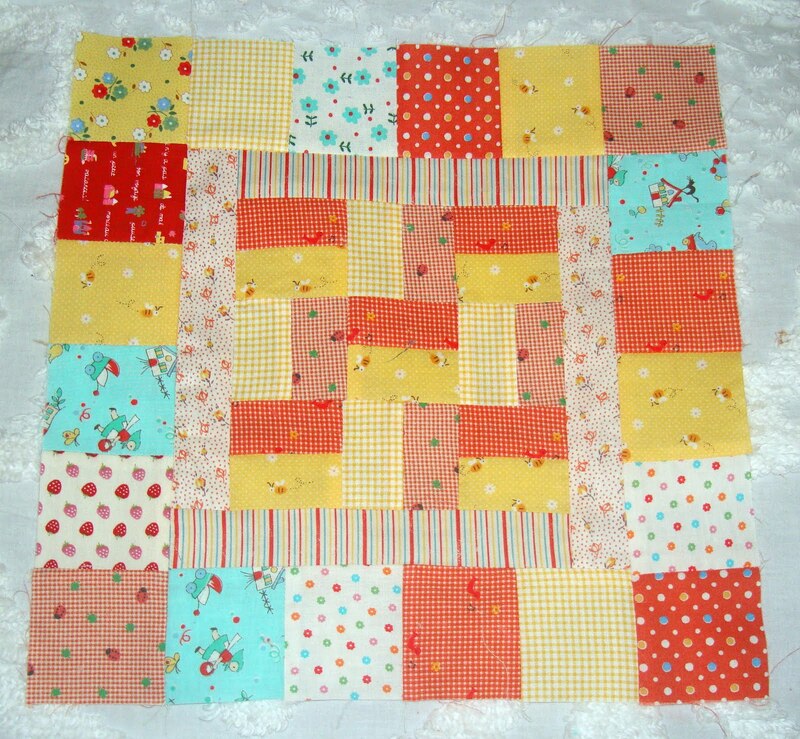 Very pretty blocks! I see some of my favorite Lecien fabrics there. 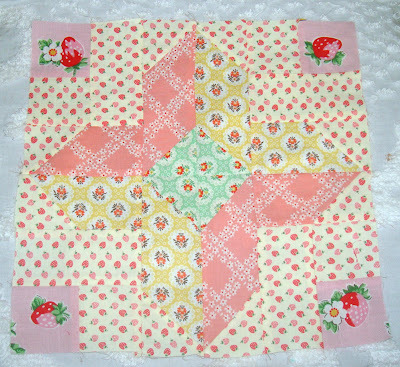 I am using some of them right now to make a baby quilt...so pretty. This is one of those quilt alongs that I wish I would have joined. 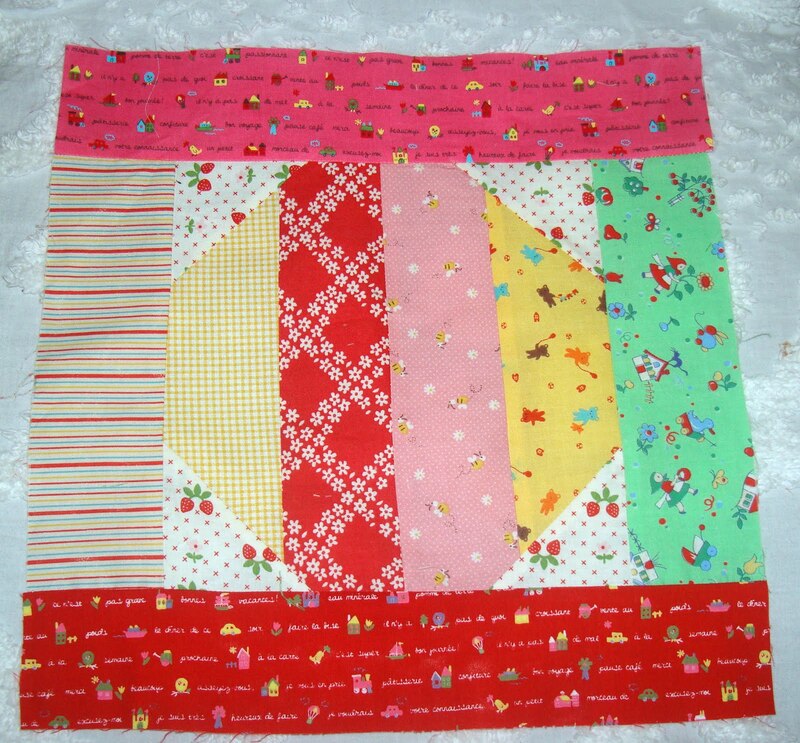 The fabrics you are using are so cute. I Love Love Love it! So beautiful! 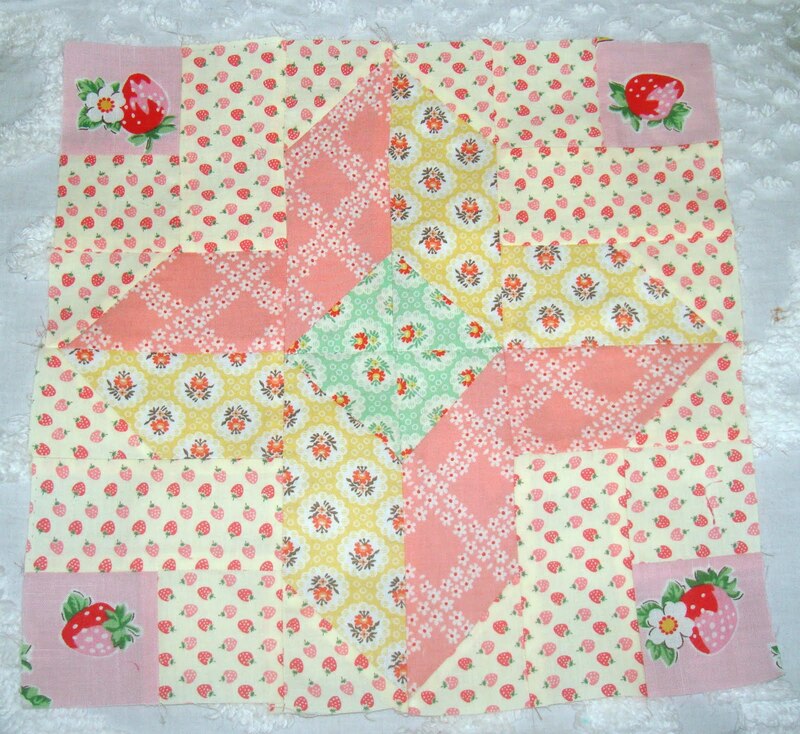 Lookin' good Nanette -- before long you'll have a quilt top! Love your blocks...I'm planning on catching up this week...I'm two behind! you are a busy bee! you have made good progress and I love all of your blocks so far. Great blocks!!! I stil have to make my nr. 9. Wow, you're really making progress. Love your blocks, especially block 10. I just love how you fussy cut those gawjus strawberry corners in block 10!!! They're all so pretty!! It's great to see just how many blocks can be made with the strips. The last one isn't one I've seen before. you have the best fabrics! i've been keeping up but haven't been posting the pix. Looking great! Will be sweet when done! I love the fabrics you chose. What line are you using? Cute fabrics. I'm enjoying seeing these blocks pop up everywhere. These are great! I'm off to check them out over at Konda's.